Health and Human Services (HHS) agencies collect endless amounts of data that, however abundant, often fails to paint the whole picture. Now, through the use of data lakes, healthcare agencies across the world are connecting disparate datasets, connecting information, and drawing new insights from years of data. Actionable and timely analytics are key to effective and efficient service delivery. Enter the data lake. Data lakes allow an organization to load and store all of their data, structured and unstructured, in one centralized repository. Faced with numerous types and massive amounts of data, organizations are finding that in order to deliver insights in a timely manner, they need a data storage and analytics solution that offers more agility and flexibility than traditional approaches. Organizations in every sector are adopting data lakes because they offer more agility and flexibility than traditional approaches to managing data. Watch the recording of the webinar on how HHS organizations can use data lakes to develop a single view of their beneficiaries. Don’t miss the next webinar in this series on “How HHS agencies are Running Mission-Critical Systems in the Cloud. Register here. Register today for our “Building a Serverless Data Lake” bootcamp at the AWS Public Sector Summit. 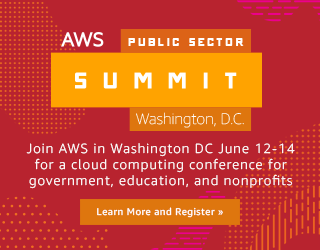 Keep learning about data lakes, big data, and analytics with CSRA and AWS at the AWS Public Sector Summit June 12-14, 2017 in Washington, DC.